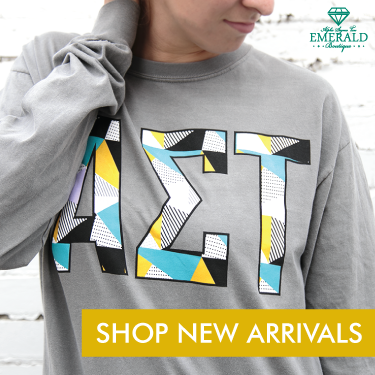 Are there a lot of Alpha Sigma Taus in your area, but nothing that brings you all together? Start an alumnae chapter! Like collegiate chapters, alumnae chapters and associations foster lifelong friendships grounded in shared experiences. Involvement with an alumnae chapter or association offers unique opportunities for new leadership roles, personal growth, professional development, community service, and, most importantly, fun! Joining an alumnae group is a social experience, connecting members from all stages of life and bringing them together within the bonds of Sisterhood. Alpha Sigma Tau has two types of alumnae groups: alumnae chapters and alumnae associations. Founding members are invited to select the group type that best meets their needs. Before forming a chapter or association, interested members create an Alumnae Interest Group, a committee that sets up the basics of a chapter or association. Selects the appropriate format: chapter or alumnae association. Establishes a calendar outlining the frequency, dates/times and locations of future meetings/activities. Holds election of required officers according to the type of format chosen. Develops and submits required reports and bylaws. If the group selects the chapter format, an Installation Ceremony will be scheduled, and the chapter will receive its official charter. A minimum of three in-person or virtual meetings or activities are held each year, either in-person or virtually. Contact Kirsten Heck, Member Engagement Coordinator, at kheck@alphasigmatau.org or 317-613 -7230.